Episode 222 of Foster the Podcast is up! Comedian Justin Foster and Life Coach Kristie Marie talk to Comedian Mary Patterson Broome about our cringe-worthy job histories. Plus, dating advice for woman from the 1930’s, and training your brain to be more positive. Subscribe in iTunes! Episode 221 of Foster the Podcast is up! Comedian Justin Foster and Life Coach Kristie Marie talk to hilarious comedian Drew Lynch (America’s Got Talent), about his and Justin’s recent tour around the country. Subscribe in iTunes! 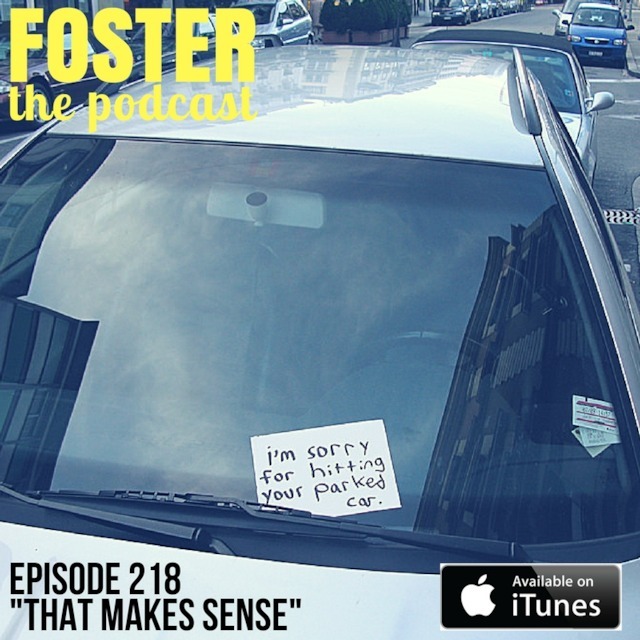 Episode 218 of Foster the Podcast is up! Host Justin Foster and co-host Kristie Marie call Justin’s mom to talk about baby boners. Plus, we are rescuing kittens, people who try too hard to be liked, and Justin hits a parked car. Subscribe in iTunes! Episode 214 of Foster the Podcast is up! Host Justin Foster talks to Christian Pieper about going to a Mormon college, strange liquor laws in Utah, and how he left the Mormon church and pursued a career as a comedian. Subscribe in iTunes! Episode 213 of Foster the Podcast is up! Host Justin Foster talks to Mischa McCortney about being a highly sensitive person, her awkward couples massage, and the time someone died on her street. Plus, Justin goes to a vegan festival. Subscribe in iTunes! Episode 212 of Foster the Podcast is up! Host Justin Foster talks to Frank Cronin about his journey in the Irish Army, to opening a hair salon in Mexico, to becoming a comedian in Los Angeles. Plus, Justin gets hypnotized for his fear of flying, and how to use meditation to quiet your thoughts. Subscribe in iTunes!